AI | STRATEGY｜MTG Co., Ltd.
MTG Co., Ltd. has established a research center to draw on the power of AI and further evolve and expand the way we develop our brands. We input the unique big data that we acquire into AI systems and research how to apply it across a range of activities, including product development and marketing. By utilizing AI to create consumer products and services, we believe we will be able to contribute not only to the development of our own brands, but to the advancement of AI itself. As our first IoT-connected device, SIXPAD has already built up a history of usage. As we move forward, we will be accumulating usage histories across a wide range of devices. By applying this data to AI learning, we will be able to offer our customers advice about keeping up with their training while optimizing our product development and marketing. As we continue to build up a wide range of user body data and apply AI learning to process it, we will become even better at offering individual users the right device to meet their needs, The application of user body data will also enable us to further expand and evolve our products and services. 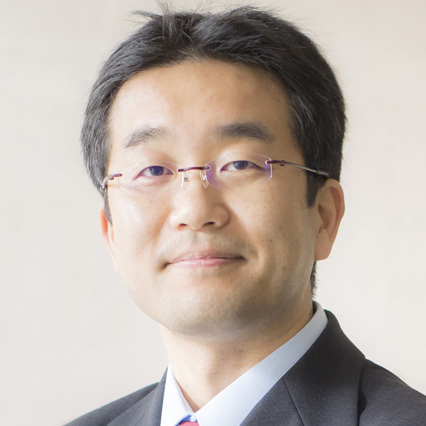 With a view to utilize AI effectively in the beauty and wellness fields, Professor Masashi Sugiyama from the Department of Complexity Science and Engineering at the University of Tokyo Graduate School of Frontier Sciences has been named Technical Advisor to MTG's AI Research Center. In addition to his positions with the University of Tokyo and MTG, Professor Sugiyama is Director of the Center for Advanced Intelligence Project at Riken. Masashi Sugiyama was born in Osaka in 1974. He was awarded a bachelor's degree in Engineering, a master’s degree in Engineering, and a doctorate in Information Engineering by the University of Tokyo in 1997, 1999 and 2001, respectively. He worked at the University of Tokyo as an Assistant starting in 2001, as an Assistant Professor starting in 2003, and as an Associate Professor starting in 2007. Since 2014, he has been a Professor at the University of Tokyo. In 2016, he was named Director at the Center for Advanced Intelligence Project, Riken. From 2003 to 2004, Professor Sugiyama held an Alexander von Humboldt Foundation Research Fellowship at the Fraunhofer Research Center in Berlin. In 2006, he received an Erasmus Mundus scholarship from the European Commission, and worked at the University of Edinburgh in the UK. He won the 2007 IBM Faculty Award for his research on machine learning in non-stationary environments. In 2011, he won the Special Researcher Award from the Information Processing Society of Japan for his research into machine learning based on density ratios. 2014 saw him awarded the Young Scientists’ Prize in the Commendations for Science and Technology by the Minister of Education, Culture, Sports, Science, and Technology. In 2016, he received the Japan Society for the Promotion of Science Prize as well as the Japan Academy Medal. Please use the email address below for all inquiries related to research and development.